Students spend the first month in San José studying at the Institute for Central American Development Studies (ICADS), then move four hours southwest of San José and two kilometers from the Pacific Ocean to land Pitzer College owns in the tropical rainforest. The 150-acre reserve, known as the Firestone Center for Restoration Ecology (FCRE), is home to pre-Columbian petroglyphs, a harvestable bamboo forest, a riparian zone with waterfalls and streams, secondary growth forest in former pasture, intentionally replanted hardwood forest, original rainforest, a four-pond water catchment system, a seedling nursery, and an Ecology Center with science and classroom facilities. With adjacent Hacienda Barú, a wildlife refuge of 800 acres to the west; the ecologically significant Osa Peninsula to the south; and Manuel Antonio National Park to the north, students have ready access to a variety of tropical ecosystems and rich biodiversity. 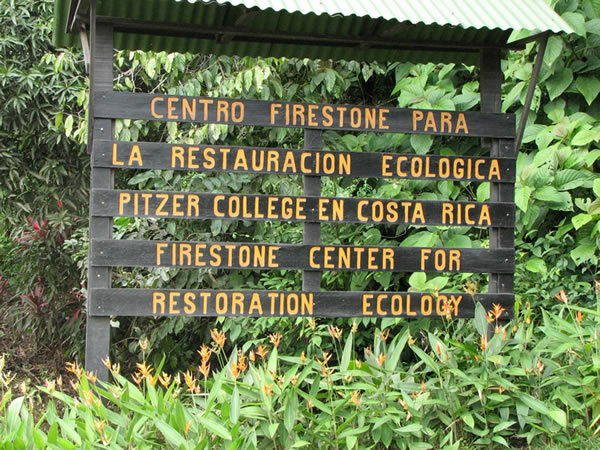 Pitzer student Nick Popkey ’16 studied in Costa Rica fall semester 2014. His film ‘Notions of Family‘ captured the essence of the Pitzer in Costa Rica home stay experience. Watch Notions of Family. One semester of Spanish language or its equivalent is strongly recommended. This 80-hour course in intermediate or advanced Spanish is taught in San José at the Institute for Central American Development Studies (ICADS), where students will stay for the first month of the program. As part of an integrated approach to the teaching of language and culture, students will also participate in a homestay with a Costa Rican family, receive lectures on Costa Rican culture, and take study trips in San José. During the first five weeks of the program, students will participate in the first half of the Pitzer Core Course: a seminar offered through ICADS entitled Latin American Perspectives on Justice and Sustainable Development.The course includes lectures, study trips in and around San José, discussion sessions, a variety of oral, interactive and written assignments and a longer study trip to Nicaragua. 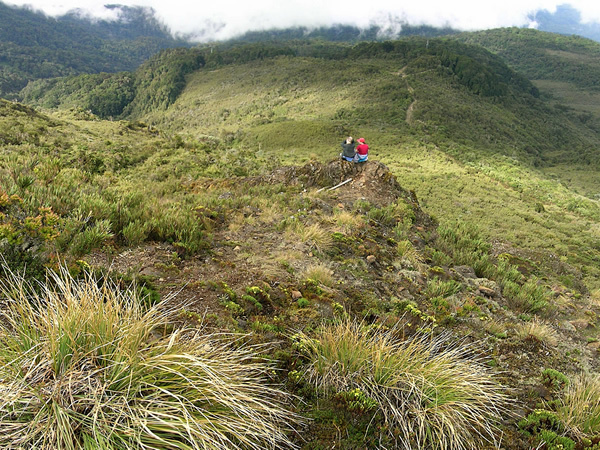 Using the Firestone Center as a biological field station, the course provides a field-intensive exploration of the terrestrial and marine ecology of the neotropical region, with an emphasis on Costa Rica and tropical restoration ecology. The course covers physical geography, biodiversity theory, and practical methods of data collection and analysis. Field and laboratory work focuses on the terrestrial, estuarine and marine ecosystems of southwestern Costa Rica, with additional visits to contrasting ecosystems. 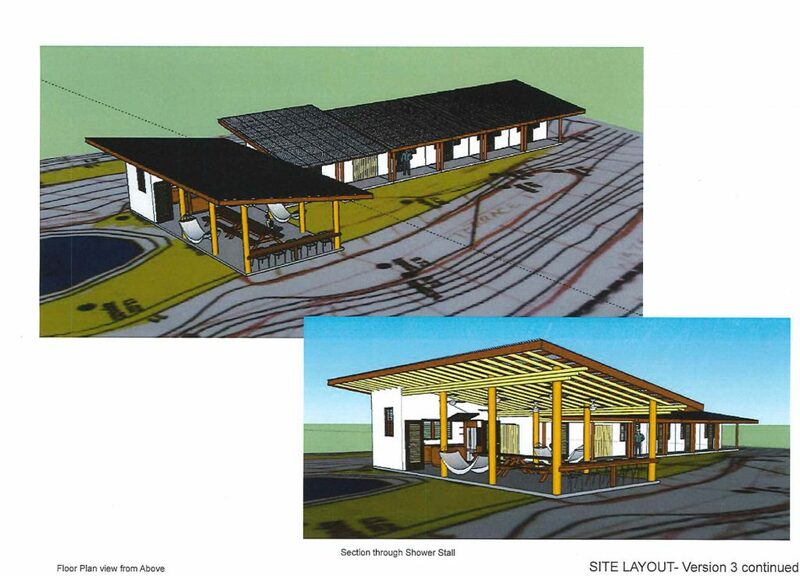 Special emphasis is given to the theory of restoration and its practice on the property of the Firestone Center. The course is taught on site by faculty from the Keck Science Department of The Claremont Colleges. This course satisfies the natural science graduation requirement at Pitzer College. For students who have completed an introductory biology sequence, the course can be counted as an upper division Keck Biology and EA-Science elective by arrangement with the instructor. Taught on site by faculty of The Claremont Colleges along with guest lectures from local experts, this course is designed to explore special topics in relation to the rich cultural and ecological resources available at the Firestone Center, its neighboring communities, and local protected areas. Topics change from year to year but may include conservation policy and governance, agroecology, and protected areas. Each course segment is taught as an intensive seminar that combines theoretical considerations, case studies, methodologies, and fieldwork. Students may focus on one aspect of human or tropical restoration ecology to study in greater depth through an independent research project or internship. 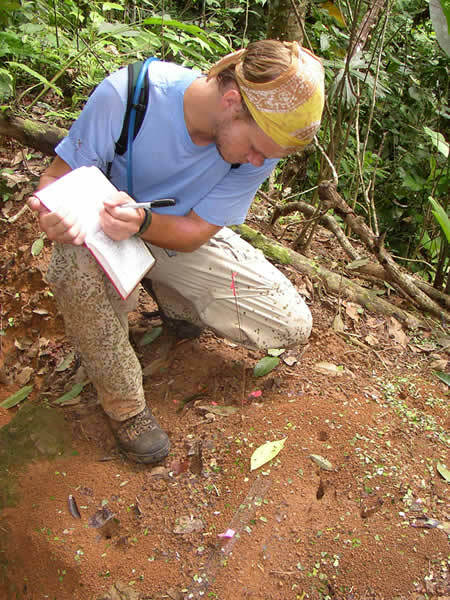 Students may also participate in one of the longitudinal research projects set up by scholars from the US and Costa Rica that contribute to the biological baseline assessment for the property. Some topics may have prerequisites. All projects require a final written report with a significant analytical component as well as other appropriate documentation of learning. Students visit Nicaragua as part of the core course. The national parks and reserves in Costa Rica harbor an estimated 75 percent of all Costa Rica’s species of flora and fauna, including species that have all but disappeared in neighboring countries. Students will typically visit Caño Island in Corcovado and Marina Ballena National Parks as part of their coursework. In this course module, major themes in a tropical marine setting will be covered. The module will be carried out in the archipelago of Bocas del Toro Panamá, a collection of 12 islands, where tropical rainforests meet the sea. Students will observe a gradient of ecosystems, beginning with the input of biological productivity from the forests into island mangrove systems. Next, students will move offshore to patch and fringing reef systems, and then out to an offshore ocean reef. We will also discuss the fragility of marine ecosystems with respect to changing climate and discuss why they should be conserved. The course has a significant field work component including daily snorkeling trips, kayaking, and hiking, along with class discussions. Sierpe, one of Costa Rica’s most important river systems, is a mecca for biodiversity. Although the focus of this study trip is to study the ecology of mangroves and why they are vital to the river, students have the opportunity to observe great numbers of plants and animals. One early morning trip can yield up to 50 different species of wading birds. Also, this is one of three rivers in Costa Rica where crocodiles and caiman abound. It is frequent that two species of monkeys are observed feeding or moving through the mangroves on this trip. The trip takes the class from an upstream fresh water system, through mangrove lagoons, to the river mouth, where fresh and salt water meet. Students learn to distinguish among 8 species of mangroves using leaf structure, roots, and seeds. Several measurements are collected and species sighted are recorded for a lab exercise. In addition, water samples are collected along several points of the river for comparison. El transporte en El Campo de Costa Rica: Qué Tal? Costa Rican family stays provide a window into the culture as the families include students in their daily lives and introduce students to relatives from a variety of age groups and backgrounds. Through discussions with the family, students begin to give a human face to important issues and ideas covered in their courses. Often relationships developed with host family members turn into friendships that last long past the end of the program. Students will have two family stays. The first will be for one month in San Jose while students study Spanish intensively. Students’ second family stay for the remainder of the semester will be with a rural farming family. Homes are usually small with simple amenities and less chance for privacy. Students are encouraged to see their host families as co-educators on the program along with staff and faculty and take advantage of the opportunity host families provide to deepen culture and language learning as well as explore important topics and issues covered in the course.